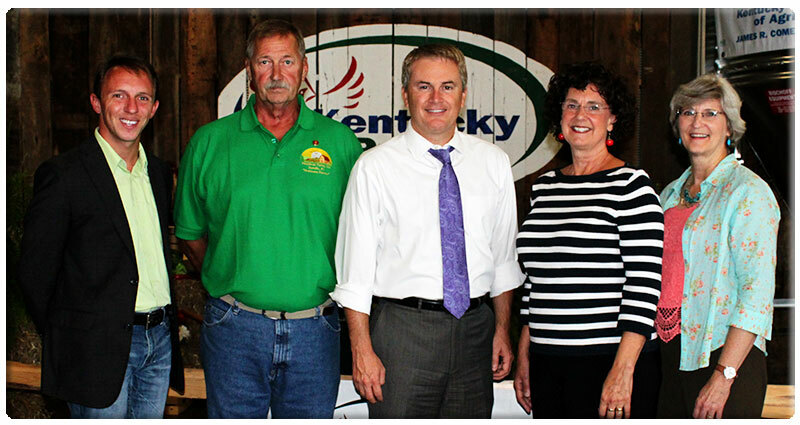 LOUISVILLE, Ky. – Kentuckians chose producers from Danville, Lawrenceburg, and Lexington as the 2015 Local Food Heroes, Agriculture Commissioner James Comer and Louisville Mayor Greg Fischer announced today. Sidney Ratliff of Danville, Kathy Sink and Cindy Nabar of Lexington, and Nathan Truesdell of Lawrenceburg were the top vote-getters among dozens of farmers from across the Commonwealth. "We think it is important to remember to take the opportunity to publicly recognize and celebrate the work of the good people who grow food for all of us,” said Caroline Heine, co-founder and project director of Seed Capital KY, one of the partners in the Local Food Heroes awards. “From small urban growers to larger rural farmers, each of these food heroes is an essential part of our local food system, and we are deeply grateful for their efforts." Sink and Nabar produce tomato plants. Truesdell is a produce grower who operates Circle T Farms. Ratliff owns Mozybeau Farms, a producer of heirloom seeds and vegetables. The Local Food Heroes awards are a partnership of the Kentucky Department of Agriculture, Seed Capital KY, and Louisville Metro. The awards are sponsored by Farm Credit Mid-America.